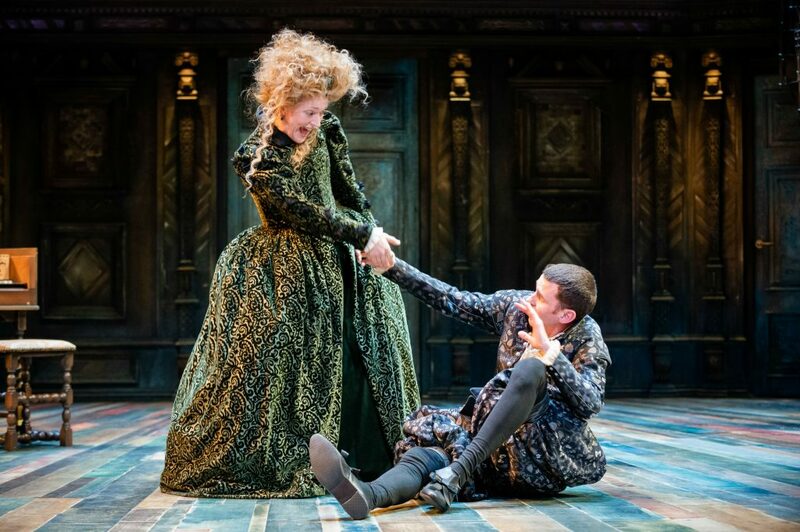 #BrumHour attended the press night of The Taming of the Shrew at the arrangement of The RSC. 1590s England is a Matriarchy! 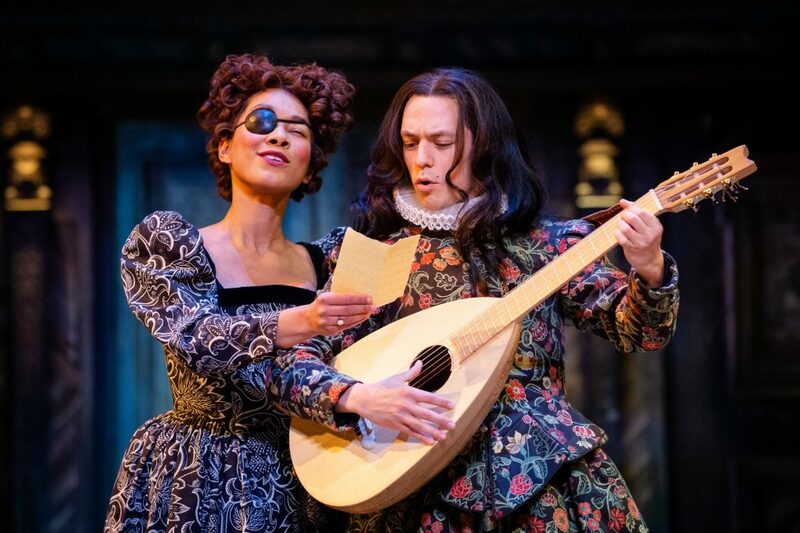 And this gender flipped version of The Taming of the Shrew is at The RSC until 31st August. Baptisma (Amanda Harris) has two sons, Katherine (Joseph Arkley) and Bianco (James Cooney). The local gentlewomen of the area want to marry Bianco, Baptisma sets a rule that Bianco cannot marry until oldest son Katherine does so. 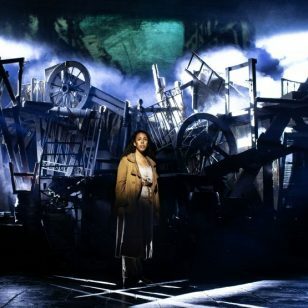 Gremia (Sophie Stanton) and Hortensia (Amelia Donkor) see themselves as Bianco’s suitors as does Lucentia (Emily Johnstone) who is madly in love with him and is willing to pretend to be her servant Trania (Laura Elsworthy) to win Bianco’s heart. In the meantime Petruchia (Claire Price) sets her sights on taming Katherine. Apart from student productions, this was my first full on night seeing a full Shakespeare play and to see it in Stratford-upon-Avon is a proper experience that anyone should have. I was in awe of the theatre itself. with its three/four levels on three sides and what I’ve discovered is called a Thrust Stage! This is a play designed to challenge expectations and show how much we rely on the idea of male bloodline, fathers and male leadership. 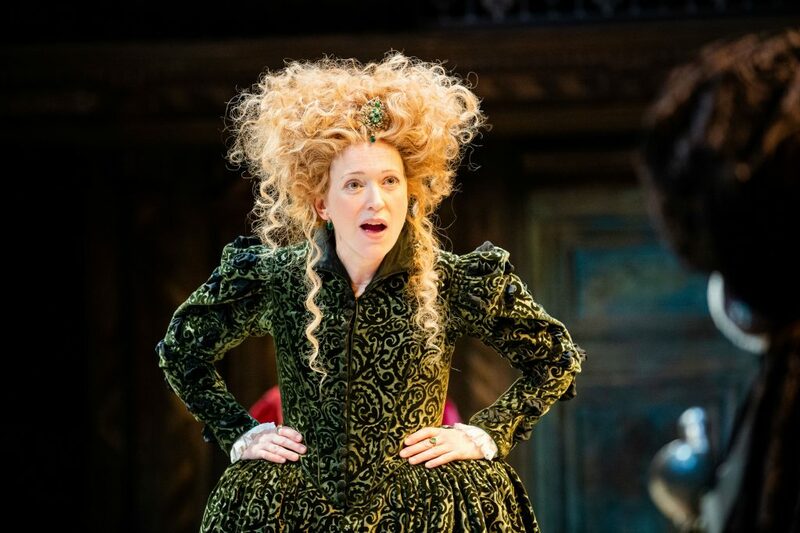 This story is about women as leaders, fighters and educators rather than the wives and daughters they were seen as at the time of Shakespeare. Land ownership and dowries are swapped for hands of husbands and violence is starkly used as a corrective method. There are comedic and casually farcical elements to the script with even a three door set-up at the rear of the stage. 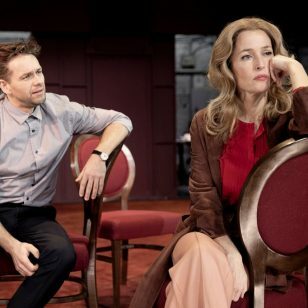 There’s dancing at the start of the first act and singing at the start of the second again pushing the expectations of Shakespeare further away from the norm. The costumes are stunning and lavish and particularly made the gliding movement of scene-stealing Sophie Stanton mesmerising whenever she was on stage. I’m unsure how this is the same or different from the original text, the first half lasted nearly 90 minutes with a one hour second half and the male monologue at the end made me wonder more about the original. I’ve seen a 1999 film called 10 Things I Hate About You which is and Kiss Me, Kate also based on The Taming of The Shrew. I can’t wait for my next Shakespeare experience!